Hi everyone and welcome to the official Warriors players blog. This is the place to see the players opinions and views as well as our thoughts on match days, training sessions and events. 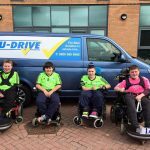 The Powerchair football season has begun and the Warriors have started our newest challenge, the MDUK National Championship. It’s amazing to think we have got to this point so quickly. Before I move on to our results and stuff from the weekend I’ve got some people to thank on behalf of the players for helping the club get to this point. I’ll start with our awesome coaches for helping us develop us as players and for all your amazing work behind the scenes, also our parents who take us to training and matches sometimes hundreds of miles away, lastly we’d like to thank our sponsors: Magna Mazda, Dorset Golf & Country Club, Funky Peach, Site Safety, BeeSwift and U-drive for everything they do for the Warriors, a big shout-out to U-drive for supplying us with a van so we can bring all our chairs and equipment to our games. Our weekend started with a match against Leeds PFC this was a very tough match against a team fancied to finish farily high up the league, we put up a very good fight and played some good football but unfortunately we lost 7-0 but the scoreline was a little harsh on our performance. Our second match was an even harder game on paper playing against Sevenoaks PFC who were relegated from the Premiership last season. We played even better in this game which was very even for long spells with our newest Warrior Lloyd producing some top saves in goal, we unfortunately lost 5-0 but we are very proud of our performance. The players, coaches and parents all had a lovely sit down dinner together that evening which was great fun and great for some team bonding. On the Sunday we had two more matches to play. The first one against Middlesborough Reserves was a close match-up that was even for long periods and we did manage to score our first ever national league goal, coming from last seasons top scorer Mr Ryan Skinner. We narrowly lost the game 3-1 but conceded the third goal whilst pushing for the equaliser, it was still a great effort by the team. 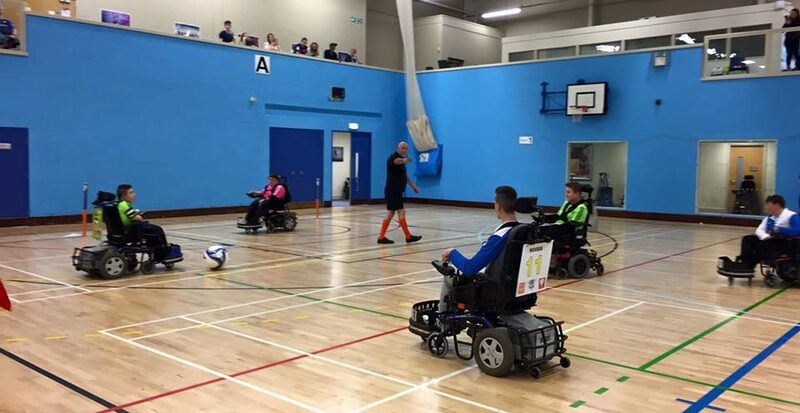 Our last game of the weekend was against fellow national league newcomers Rotherham Wheelchair Wasps, we played incredibly well we kept some good possession, kept solid in defence and created chances. The game was level at 1-1 for a while but we broke through and scored a free kick that was planned brilliantly by the coaches and exexcuted brilliantly by us on the pitch. The game ended 2-1 to the Warriors for our first ever national league win! We ended the weekend 10th out of 12 only behind some teams on goal differnce. Ryan finished the weekend with 2 goals and I finished with 1. Bring on the next fixtures next month. This has been the players blog please check back soon for more blogs.